They’re odd, they’re fun, and they’re here to run! 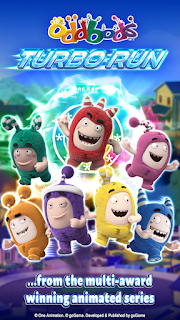 It’s ODDBODS from the multi-award winning and Emmy-nominated animated series. You’ve laughed at their adorable antics on screen. 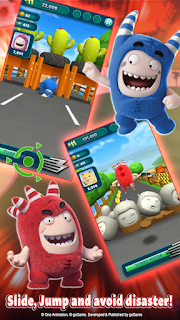 Now get ready to swipe and join them in their endless adventure as they sprint, bounce and bump their way across Oddsville! Swipe to avoid disaster or slide to get obstacles out of your way. 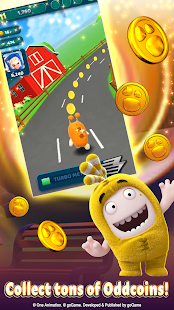 Just don’t stop running and collect as many Oddcoins as you can! RUN AS FUSE…OR BUBBLES OR POGO! Start your running frenzy with Fuse, but don’t forget to unlock more running Oddbods along the way! Turn up the speed with a little motor help from Fuse’s monster truck, Bubbles go-kart or Pogo’s ice cream truck. Run farther and score higher with turbostarts, bonuses, Fuse’s Boxing Gloves, Bubble’s Drone and many more! 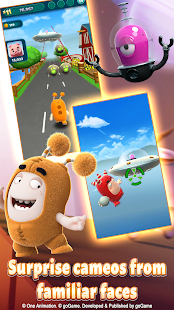 Look out for prank visits from guinea pig, UFO and more—where you’ll stand the chance to score awesome bonuses!